Find the best credit card for your holiday shopping! Editor’s note: Quorum is not affiliated with any of the companies mentioned in this article, and derives no benefit from these businesses for placement in this article. The holidays are nearly here! Although this is an exciting time of year filled with decorations, parties and precious time spent with loved ones, it is also a season filled with gift-giving opportunities that can take a toll on your wallet. Fortunately, there’s no need to enter the New Year with empty pockets if you consider a few budgeting tips and keep an eye out for exceptional deals this holiday season. With parties to throw, dinners to host, gifts to buy and, perhaps, even holiday travel plans to consider, it’s no wonder many consumers set up holiday-focused savings accounts early in the year to cover expenses. If you left this off of your budgeting “to do” list in 2018, there’s no need to panic. With just a few quick tips, you can help control holiday spending and set yourself up for financial success in the New Year. Establish a holiday budget: How much can you afford to spend over the holidays without breaking the bank? Be realistic. Take this dollar amount and then divide it among known expenses such as gifts, holiday meals, decorations, parties and travel needs. Continue to make adjustments until you have reined in your spending plan. Avoid accessing your source of emergency funds: Never dip into your emergency funds to finance holiday gift buying. Unexpected expenses including car repairs, hospital bills and leaky roofs can (and will) appear at any time of the year. Instead, shop for deep discounts online or go back to the chalkboard and reassess your holiday budget. Use credit cards wisely: Be careful with your spending on credit cards. While they may present a quick and easy way to knock out all of your holiday shopping quickly, carrying large balances may put many of your financial goals and resolutions for the New Year on hold. Ebates: Cashback reward websites, like Ebates, offer shoppers a quick and easy way to enjoy steep online shopping discounts by making purchases from partner sites. Simply sign up online (or on your mobile device) and then access the stores you love through these third-party sites. Through this arrangement, the site receives a commission which they share with you in the form of cash back incentives on purchases. Other online destinations that help shoppers rack up rewards include Swagbucks and ShopAtHome. Overstock: Overstock.com specializes in selling excess inventory from top manufacturers at discounted prices. Their club, the “Club O’ Gold,” offers shoppers free shipping on all orders, cashback on purchases and even provides cash incentives when you leave a review on products. A similar site, SmartBargains, also offers steep discounts on canceled store orders and closeout specials from a wide range of top retailers. CamelCamelCamel: Ever shopped on Amazon and left an item in your shopping cart only to return later and discover the price changed significantly throughout the day? CamelCamelCamel is a free Amazon price tracker which keeps tabs on the cost of millions of products and then provides you an alert whenever a price drops. For holiday travelers, they also offer a site to track hotel prices, Camelodge. Pricegrabber: Another excellent price comparison site, Pricegrabber, helps you track price fluctuations from a wide range of retailers, not just Amazon. Shop by category of product and then decide when the price is sufficiently discounted to attract your attention. Become, Shopzilla and Bizrate offer similar benefits for shoppers hoping to track falling prices. Uncommon Goods: Looking for deals on unique gift ideas, or shopping for someone who has everything? If so, Uncommon Goods offers a chance to score discounted out-of-the-ordinary items you may not find anywhere else. Browse by interests including music, gifts for teens, kitchen and bar, and more. Other sites offering affordable, distinctive gifts for the holidays include Cratejoy, Etsy and World Market. Vivaterra: If environmentally-friendly products at a competitive price are on your list, check out Vivaterra. They offer a special something for gardeners, artisan-crafted gifts and even a Zen section for friends and family members looking to add some peaceful accents to a bustling cubicle or home office. For more earth-friendly gift choices, head over to sites including Gaiam and Harabu House. Groupon: Sites like Groupon and LivingSocial offer steep discounts on experiential gifts. These sites help locate affordable and unique experiences for those on your shopping list who would prefer a yoga class, a massage, a unique culinary experience to more traditional holiday gifts. Black Friday: Does your holiday shopping list include electronics such as smart-home gadgets, gaming consoles, televisions and more? If so, plan to capitalize on the extreme savings offered by major retailers on the Friday after Thanksgiving, Nov. 23rd this year. Cyber Monday: Similar to Black Friday, the Monday after Thanksgiving, Nov 26th this year, is full of opportunities to secure the hottest holiday merchandise at extremely affordable prices. Online shoppers can take full advantage of deals on a wide range of products without braving cool temperatures or standing in line for hours. Free shipping day: Mark your calendars for Friday, Dec. 14th, as this one-day annual event offers free shipping from participating retailers, guaranteed for delivery by Christmas Eve. With some thoughtful budgeting techniques, resources to find steep discounts and a calendar to keep you on track, there is no reason to break the bank this holiday shopping season. Get the credit card that's perfect for you. Choose between cash rewards, daily savings, and luxury travel experiences. All with great rates and a host of Mastercard benefits. Good savings are in the air. 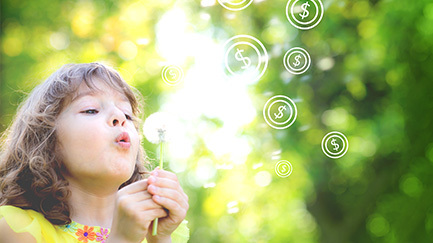 Get a market-leading rate with our HighQ liquid savings account. Earn 2.05% APY* on any balance and withdraw funds anytime, penalty-free. Plant the seed for a good future. 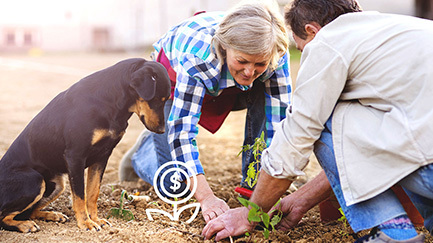 Open a term account and receive rates up to 3.00% APY*. Lock in a market-leading rate and start saving today! Please note: Comments are not monitored for member servicing inquiries and will not be published. 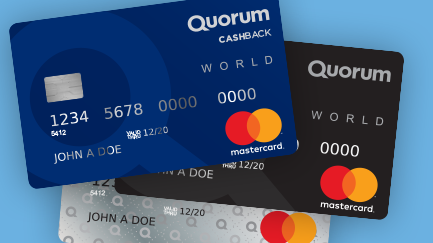 If you have a question or comment about a Quorum product or account, please visit quorumfcu.org to submit a query with our Member Service Team. Thank you. Quorum is not affiliated with any of the companies mentioned in this blog, and derives no benefit from these businesses for placement in this blog.